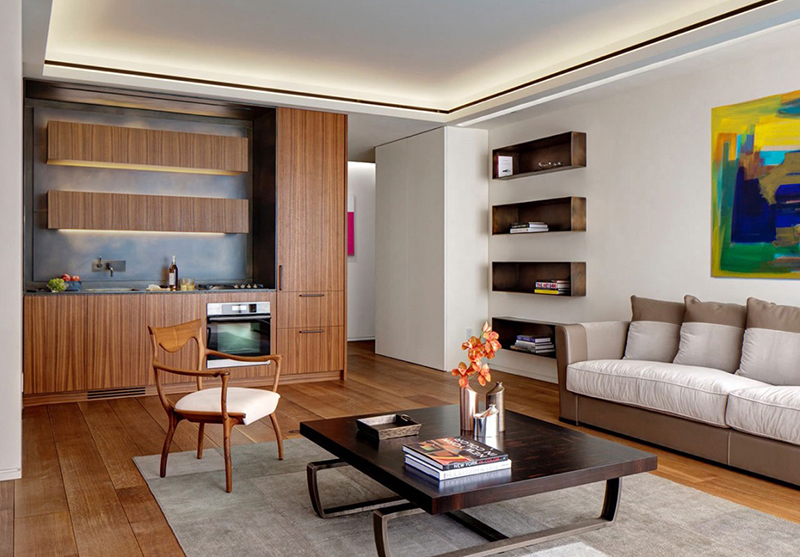 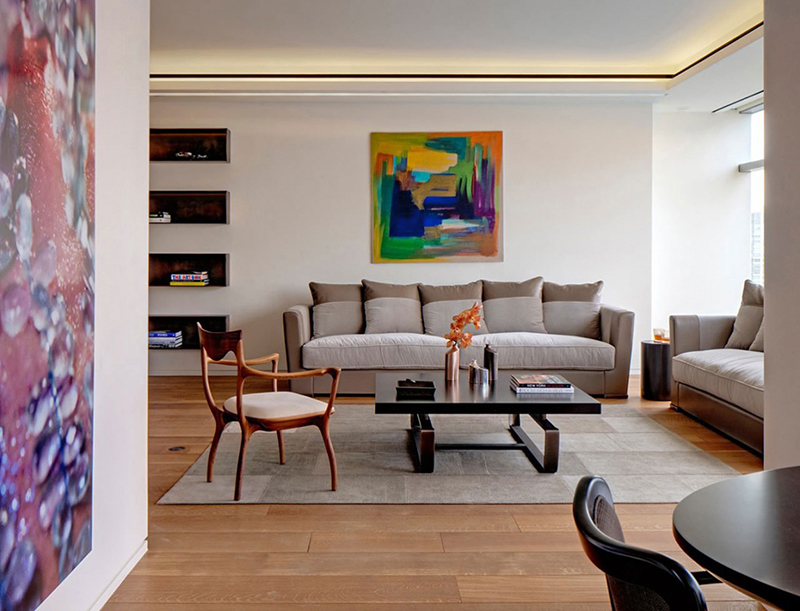 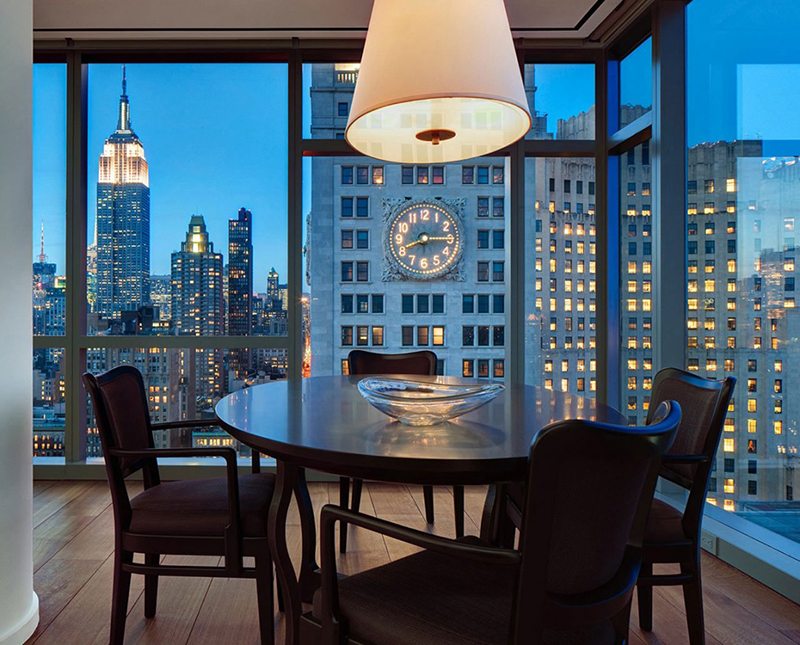 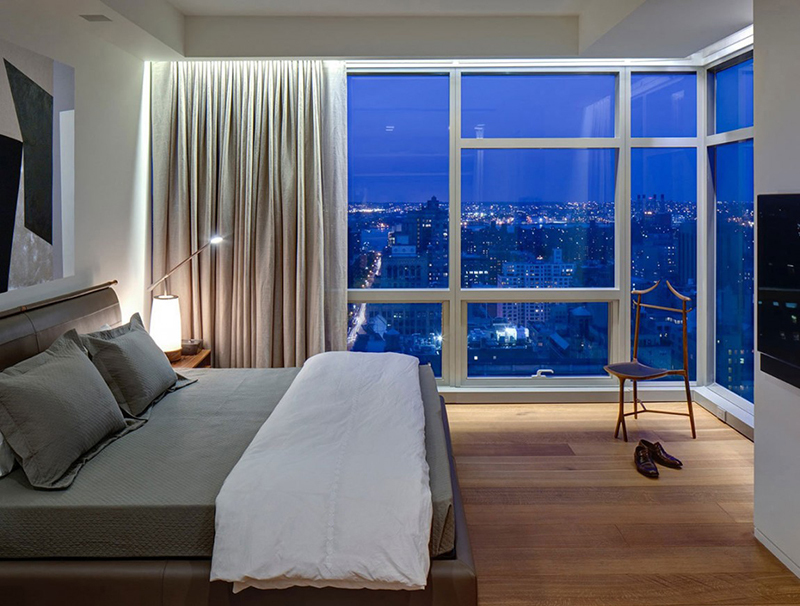 Located on the 32nd floor overlooking Madison Square Park, this 1,500-square-foot two bedroom two bathroom pied-a-terre is a luxuriously refined interior, worthy of its blue-chip art collection, and a haven of tranquility. 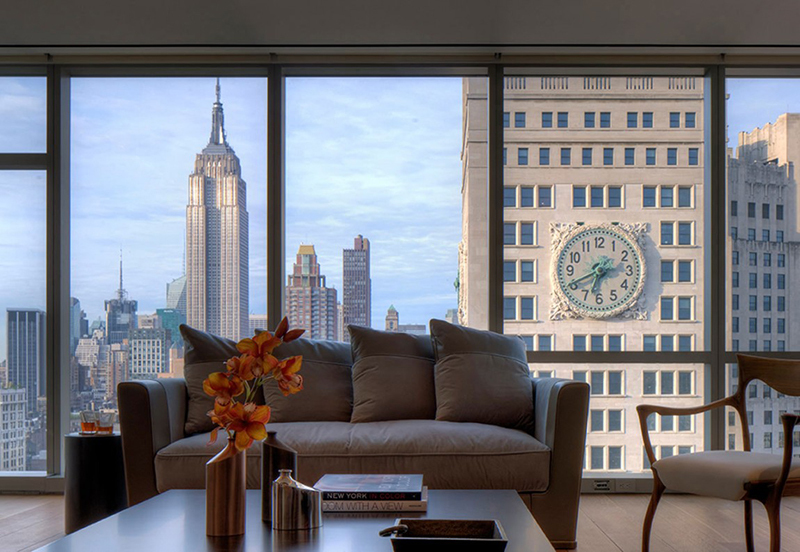 Our design solution reworks the plan to enhance the incredible views — from the East River to the Hudson, as well as the northern and southern tips of Manhattan — and to create museum-quality space to exhibit statement pieces. 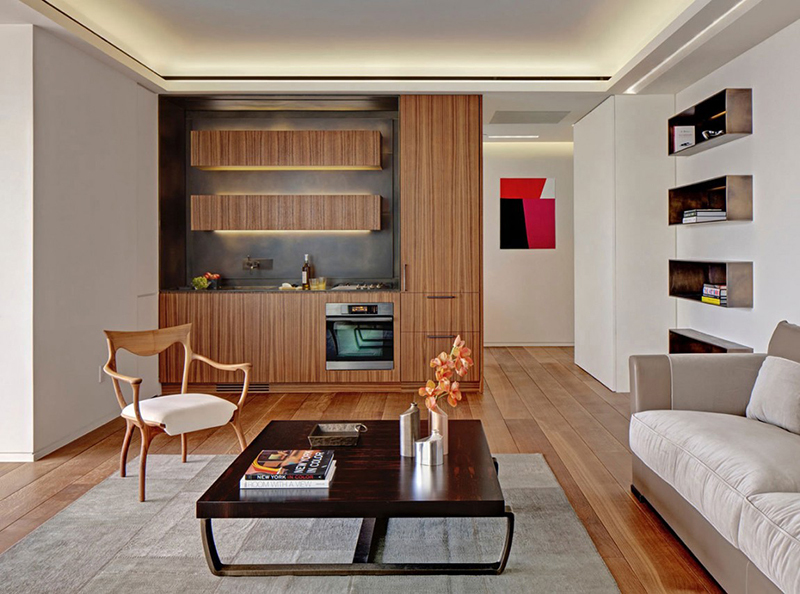 Lighting details disappear into discreet architectural ceiling coves and subtle reveals to invisibly illuminate both the art and these rich materials. 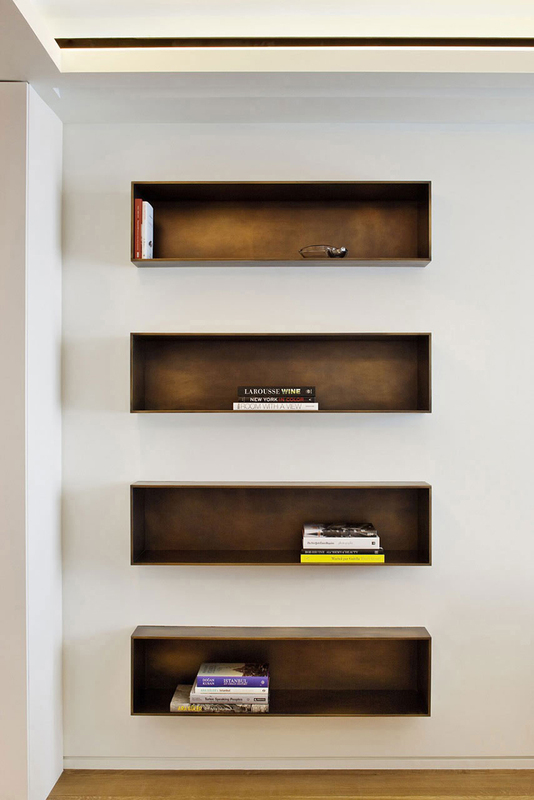 In the living room custom backlit bronze shelves are inset in a row along the wall, and in the kitchen the appliances are also clad in this ancient material. 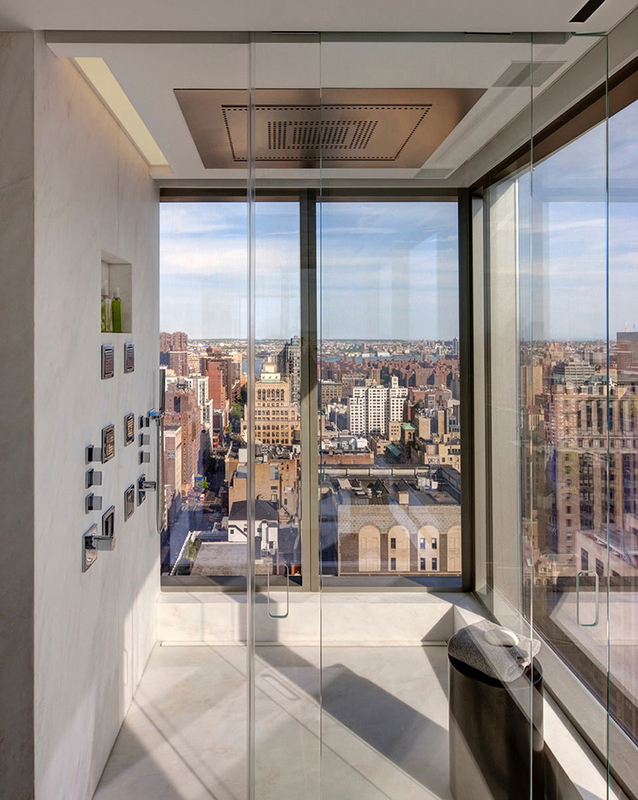 The reimagined Master Bath features a dramatic corner shower with views to the Freedom Tower.